CACI is currently looking for outstanding Cisco ISE Engineer to join our TSA IT Management, Performance Analysis, and Collaborative Technologies (IMPACT) team in the National Capital Region (NCR) and throughout the United States. 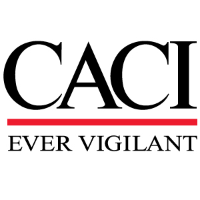 CACI will provide a variety of IT services through IMPACT including cyber security, identity and access management, risk management, cloud integration and engineering, field support services, service desk, application deployment and optimization, and operations center support services. CACI will support TSA in both classified and unclassified IT operational environments increasing availability and security for a variety of applications and systems. IMPACT services will integrate with the broader DHS mission and enhance existing Department-wide IT capabilities. The Cisco ISE Engineer will oversee, manage, and coordinate network policy, configuration, and troubleshooting in support of the TSA network infrastructure. Duties will include managing the network and infrastructure requirements, collaborating with government and third-party stakeholders, coordinating with internal support teams on the IMPACT Program, and reporting status to technical management and leadership. Functional understanding of diverse set of networked applications and terms requiring application traffic management solutions, including HTTP, HTTPS, SSH, FTP, DNS, NTP, ANYCAST services, NAT and others.